The graduation of our this year's trainees in December is fast approaching, marking the culmination of our four-month training process with young people and families in partnership with Families Forward of the Royal Borough of Kensington and Chelsea (RBKC) . At the graduation we will showcase the documentaries our trainees have produced on subjects they care passionately about. This week we speak to Olivera, who took part in the See Change Films and Families Forward's training course with her children Sebastian, 16, and Lucia, 8. Find out how the shared experience of filmmaking has shaped the way Olivera’s family works together, sparked a strong interest in films and media, and why Olivera decided to produce her final documentary on developments affecting her local community in Ladbroke Grove. We decided to take part in the film training project because my son Sebastian had some issues at school - he acted as if he didn’t care but I could see he was just unable to articulate his feelings. I didn’t know what do so contacted social services; through them I was introduced to Jonty and Families Forward. 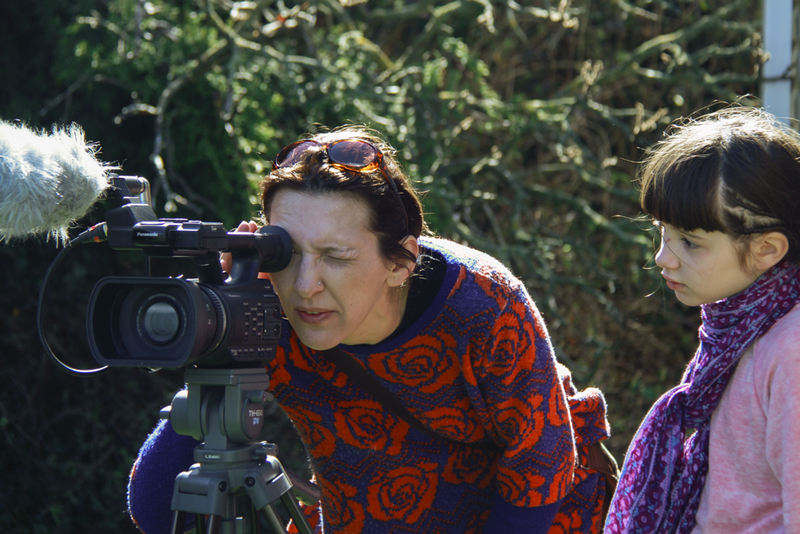 The team facilitates interesting activities for families to do together, and when Jonty suggested filmmaking I thought that sounded fantastic. The whole course was a great experience. I really built my technical filmmaking skills and gained new knowledge in documentaries. Every session was something different and exciting. What made it really special was that I was learning together with Lucia and Seb - we do a lot of things as a family but this project was something completely different for us to do together. We had to learn to plan together, stick to schedules and complete tasks together. It made me particularly happy to see how much Sebastian enjoyed the course, and how it helped him to move on in life. Sebastian was a bit reluctant at first, but he quickly really got into filming. The training course acted as a stepping stone for him, he finished school and applied to study film and media at college. I feel we are talking to each other more as the result of the course. We share a mutual interest in film, and have conversations about good movies we’d like to see. I also think Sebastian is more likely to listen to my suggestions about what to see or what to do now. We continue to do little projects as a family - I am planning to make a little film with my daughter Lucia at the moment. For my final film, I chose to make a documentary about the Westway Trust and its proposed developments for the area around Ladbroke Grove and Notting Hill. The Trust has been managing this area for some 40 years, when Westway motorway was built, and the 23 acres under the road were given for the local community to use. Many local residents, myself included, are concerned that Westway Trust is conducting this development without consulting the community properly. Those 23 acres have been quite important in my life. When I moved to Ladbroke Grove with my son 12 years ago, I discovered so many places were accessible and extremely useful for a single mum. Now, as the result of new developments, many of these places, such as Maxilia Daycare and Nursery, the Westway Stables, and the local skate park are facing closure. I’m worried that the area will be gentrified and the community that created this vibe that Ladbroke Grove is known for will soon have no place to go. I am hoping that my film is going to give some more information to people about the impact the new developments have on the local community, and shed some light on the plans of the Westway Trust. In the future I hope to stay involved with See Change Films and Families Forward and learn more, particularly about editing. I’d like to develop my technical skills so I can become more independent in filmmaking. I’d also like to see Lucia, as she gets older, to learn to focus more through filmmaking.